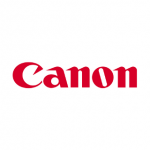 Canon Inc., specializes in manufacturing various optical products and even imaging. They are a reputed company to manufacture camcorders, cameras, steppers, photocopies, medical equipment and even computer printers. They are the manufacturer of Japan's first 35 mm camera bearing a shutter based on focal plane. The origin of the company dates back to 1937 with establishment of Precision Optical Instruments Laboratory. Initially the company used lens glasses from Nikkor. They have also achieved the feat of manufacturing digital cameras from 1984 itself. They even developed an EOS series for DSLR cameras that has revolutionized modern photography. Their digital cameras consist of IXUS series and PowerShot. There are currently 0 consumer reviews about Canon available. Share your review. Please take a note that you are about to post a public review about Canon corporate office on CorporateOffice.com. This review will be public, so please do not post any of your personal information on this website. If you would like to contact the corporate offices of Canon, please use their contact information such as their phone number, website, and address listed above to contact them. However, sometimes staff from Canon headquarters do read the reviews on this website.